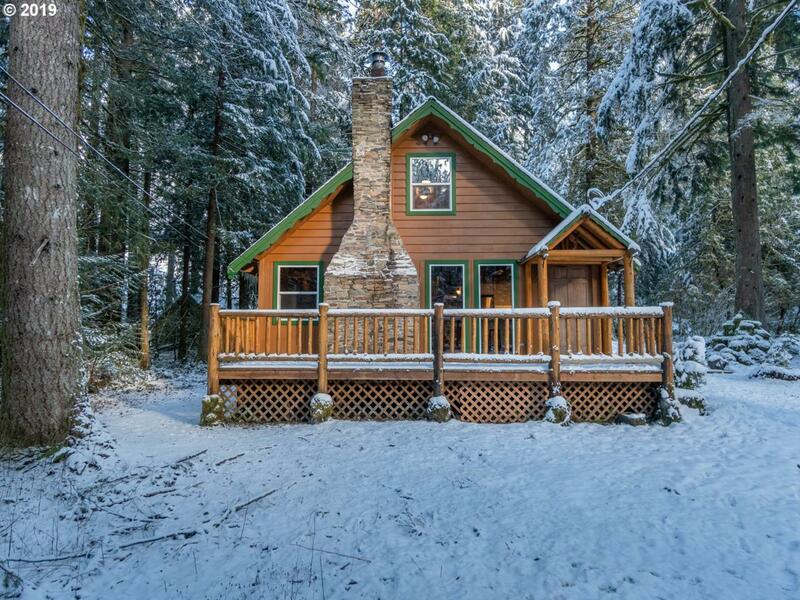 This cabin is a 10! - location & charm! Extensive remodel-new dual pane windows & sliding doors, flooring, carpet, kitchen & appliances, lighting, insulated plumbing, etc. True master suite w/ walk-in closet & bath. Lives large as 4th room could be a bedroom. Bonus loft area. Landscaped outdoor fire pit area. Storage & firewood shed. Full time living & rental allowed as private land. Walk to restaurants & grocery in Rhododendron.